BUILT FOR AGENTS - The Rough Notes Company Inc. If you build it, they will come,” apparently does not just apply to baseball. 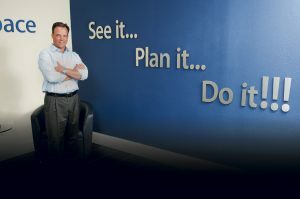 In 1988, Valli and John Ritenour started Insurance Office of America (IOA), Longwood, Florida, and built it as a place that would attract clients and employees, including top-performing agents—a place that they would never want to leave because it provided some of the best producer contracts in the business, along with state-of-the-art services and coverages. CEO Heath Ritenour, Valli and John’s son, adds, “To show how important retention is to us—and we have a retention rate that is among the highest in the business—we continue to pay our producers for six years after they retire, based on retention. We understand that our producers have a special relationship with their clients, and we want that to continue. The concept certainly seems to be working. Today, IOA’s 1,000-plus employees, including more than 300 producers, serve clients from 50 or so offices around the country. The firm finished last year with $181 million in insurance revenue. IOA recognized that a producer contract could be duplicated. “We had to make certain that we had the best tools and back office to support our producers’ efforts,” Jeff says. “The commission is the icing on the cake. The agency built on these developments by investing in a learning management system that includes safety training, which tests client employees for understanding and includes report capabilities. The agency also developed a proprietary claims portal that connects with their insurers, so both the claims advocates at the agency and the insurance company receive the first notice of loss simultaneously. 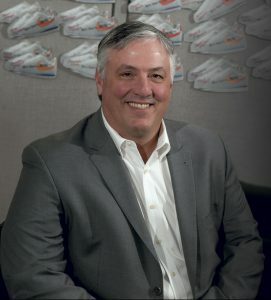 “This allowed us to move from a reactive mode to a more proactive approach with claims,” Jeff points out. “But we really wanted to become proactive regarding every aspect of the risks faced by our clients. “Every agency talks about differentiation. We wanted to stand out from the crowd and do something really different. That’s when five of our agents decided to attend a Purple Cow seminar and find out what we could do that would make us purple in a herd of brown.” The concept comes from, Purple Cow: Transform Your Business by Being Remarkable, in which author Seth Godin says the key to success is to stand out—to be purple cows among normal-colored ones. The seminar opened the agents’ eyes to a new, more complete approach to client service. It had to become a continuous process that started before the placement of coverage and picked up after the client had signed on with the agency. The concept was simple: Interview the client’s management and employees to determine their complete risk profile, and then create a strategic roadmap designed specifically for that client that would improve their handling of risk and reduce the cost of risk transfer. When he got back to the office, Rob found that he had the support of his partners to implement the concept. A couple of years later, with an investment in software development that exceeded $1 million, IOA created RiskScore®. The program was developed in partnership with the agency’s clients and the insurance companies with which it had relationships. This helped it receive the buy-in necessary from those two key parties to the risk transfer transaction. 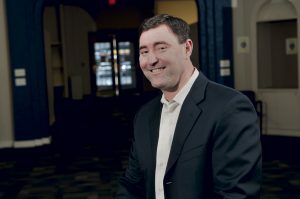 The end result, Rob says, was preferred terms for clients and, because clients elevated their risk management and safety culture, better risks for carrier partners. Amy Wacker, assistant vice president of client engagement, says that RiskScore had its beginnings after one of the agents interviewed people at customer businesses for three days to find out how they dealt with problems. “We wanted to take a deep dive into company behaviors,” she says. “We then sent this information to C-suite-type individuals, as well as to people involved in hiring and firing in safety management to get their reactions. From this feedback, we began to develop an automated process that ultimately evolved into RiskScore. He points out that IOA originally worked with 31 different insurance company underwriting teams in RiskScore development. “They actually helped us create the platform based on what they needed to see in order to recognize insureds as ‘best in class.’” In essence, RiskScore for them has mirrored the role of credit scores for lending institutions. Heath says, “We offer a detailed training program for those producers that want to utilize RiskScore as part of their selling process.” To which Rob adds: “That’s a key point. One of the things that makes IOA such a great place to work is the freedom. Producers have freedom. They don’t have to be trained in RiskScore. “This freedom creates a great environment, where you can achieve a good life/work balance,” Rob says. “And, because of that, there’s a camaraderie that is a byproduct of our mutual success. We don’t compete with each other. In fact, the opposite is true. 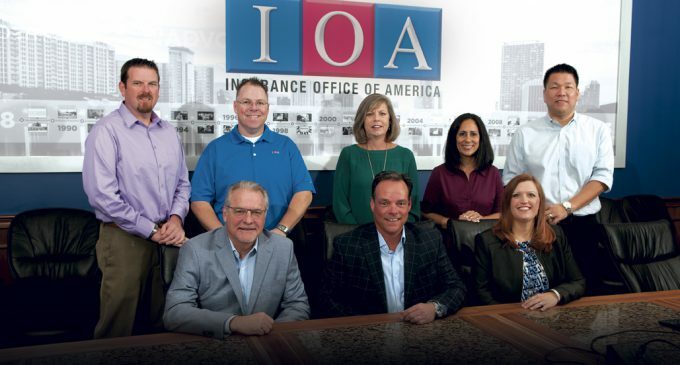 IOA has built an agency that focuses on creating a better life for its employees, producers, clients and insurance company partners. Rough Notes is proud to recognize it as our Agency of the Month.